Rumours that the top-end iPhone 11 would be getting a triple camera array started back in January 2019. Initially courtesy of 'sources' quoted in the Wall Street Journal, and subsequently Bloomberg also claimed Apple is working on a three-camera setup for its 2019 iPhones. Then in March, Japanese blog Macotakara wrote that the follow-up to the iPhone XS and iPhone XS Max will add a third rear-mounted camera to the handset. Three cameras, three news sources. It all fits! It seems entirely feasible that at least one of Apple's 2019 iPhones will be getting three rear cameras, because that would match the plethora of lenses on the back of several of its main rivals. The Samsung Galaxy S10, the Samsung Galaxy S10 Plus, the Huawei Mate 20 Pro, and Huawei P30 all have triple camera arrays, although the Huawei P30 Pro remains out in front with no fewer than four rear cameras. What's rather non-Apple, though, are the renders that have been floating around, which show the triple camera under a pretty ugly and very prominent bump. Take a look at this render that phone leaker Onleaks created for Indian tech site Digit, for instance. Renders posted by Mac Otakara also seem to have had the Ugly Stick filter lavishly applied. Honestly, any potential 2019 iPhone buyer could be forgiven for turning to Android. But fear not, because while Apple may be planning to put three cameras on the back of its next iPhones, the concepts above may never become reality. Now Jonas Daehnert, on Twitter as Phone Designer, who creates some seriously lush renders of future phones, has turned his attention to the triple camera iPhone and come up with something that looks much more in keeping with Apple's design philosophy. 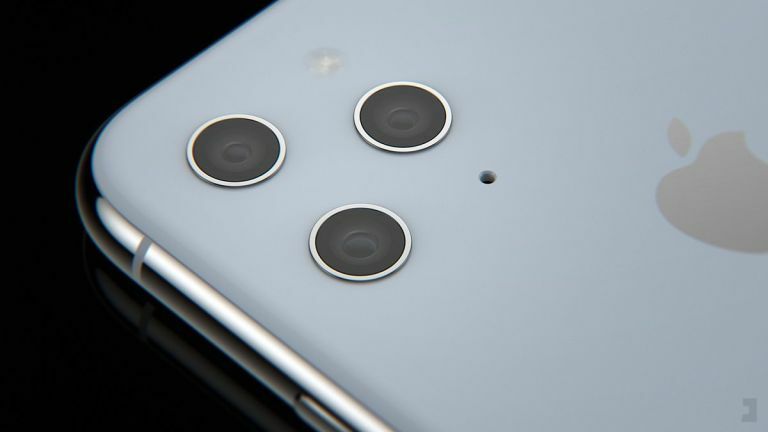 In Phone Designer's nirvana of semi-imaginary future iPhones, there's no horrible hump or abominable bump, just three subtly raised camera lenses and an even more subtle flash. Now that's a design we can get behind.